Home / News & Media / Latest News / ESF Lions player scores double hat trick! ESF Lions player scores double hat trick! 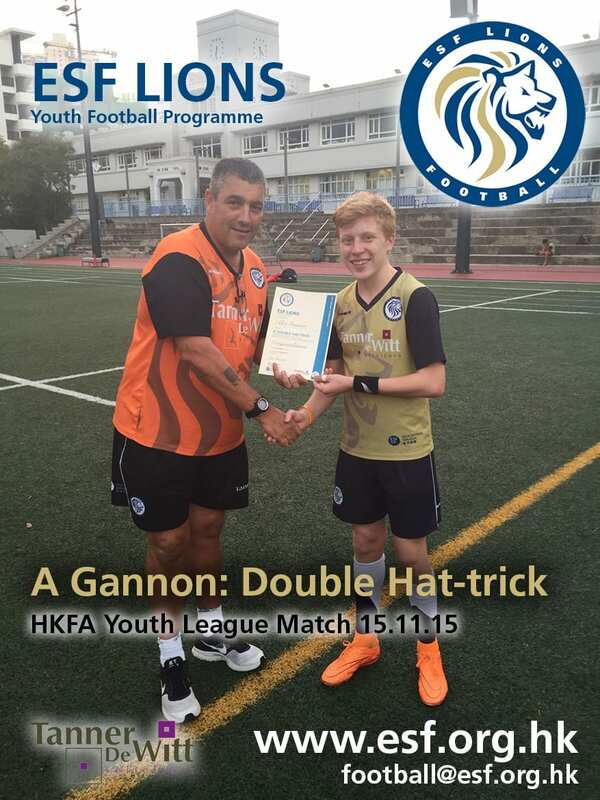 Tanner De Witt would like to congratulate Alex Gannon, one of the ESF Lions Academy players, who recently scored 6 goals in one HKFA Youth League match. Tanner De Witt is proud sponsor of the ESF Lions Youth Football Programme which has been providing after school, girls only and academy sessions for aspiring football stars in Hong Kong for years. The ESF Lions have a diverse range of offerings beyond after school football sessions including Girls Only classes, skills sessions and specialist support. With so many options to choose from and access to some of the best facilities in Hong Kong, The Lions have something for everyone. Find out more about them at this link.